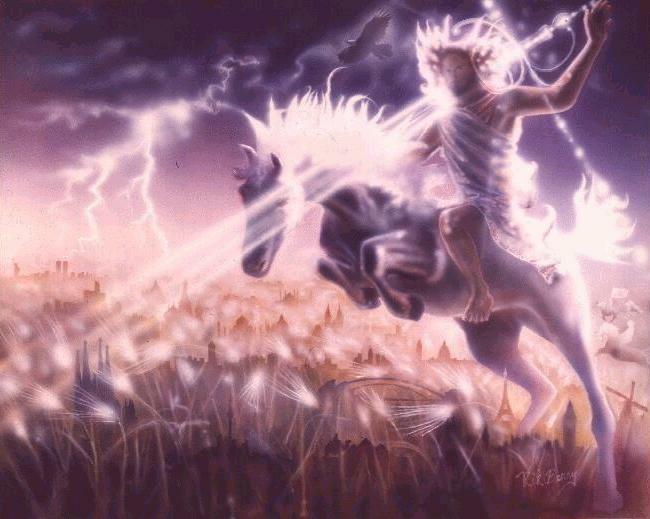 1 AND JESUS said to them, Truly and solemnly I say to you, there are some standing here who will in no way taste death before they see the kingdom of God come in [its] power. 2 Six days after this, Jesus took with Him Peter and James and John and led them up on a high mountain apart by themselves. And He was transfigured before them and became resplendent with divine brightness. 3 And His garments became glistening, intensely white, as no fuller (cloth dresser, launderer) on earth could bleach them. 4 And Elijah appeared [there] to them, accompanied by Moses, and they were holding [a protracted] conversation with Jesus. 5 And Peter took up the conversation, saying, Master, it is good and suitable and beautiful for us to be here. Let us make three booths (tents) — one for You and one for Moses and one for Elijah. 6 For he did not [really] know what to say, for they were in a violent fright (aghast with dread). 7 And a cloud threw a shadow upon them, and a voice came out of the cloud, saying, This is My Son, the [most dearworthy] Beloved One. Be constantly listening to and obeying Him! 8 And looking around, they suddenly no longer saw anyone with them except Jesus only. This is one of those recounting of the events in Jesus Ministry that I really relate to. If you ever been to a conference, a retreat or had any other time when God manifest Himself in His majesty, power it is a place you do not want to leave. Going back to everyday life can either seem like an exciting new opportunity or drudgery. If you are not careful you can even get pre-occupied with something that was said at the event and lose out on all of the good things that occurred. Remember these great times with God are meant to chare us and challenge us to let God do more though us. If we are not careful we can become lost in His presence and missing in action on the battlefield of His choosing. There is a time for both and both are part of God’s plan for us! Join this faceBook Group to get this devotional by email daily. Engaging with other disciples in the common activities of worship, study, prayer, celebration and service, which sustain our life together and enlarge our capacity to experience more of God. From the first pages of Genesis, when God created a mate for Adam, through the pages of Paul’s Letters, with his timeless advice on living together in joy and love, to the final pages of Revelation, where we see a glimpse of the company we will keep in heaven, it’s clear that the Christian life is to be a life lived together. Although Jesus often prayed in solitude, He did not travel Judea alone during His Ministry, but called the disciples to travel and minister with Him. Paul’s description of the Church as the Body of Christ (Rom 12:5; 1 Cor 12:12-26; Eph 4) makes it clear that each of us has different gifts and abilities and only together can the Church run smoothly for God’s glory. Fellowship can bring us great joy, encouragement, and comfort. It can also bring frustration and disappointment, as we bump up against each other’s sins, shortcomings, and failures to hear and follow God’s voice in our lives. The amount of text that Paul devotes to solving the problems of community living is testimony to just how hard it can be. One way we can sustain our fellowship and focus it upon God is by sharing Communion together. Jesus commanded us to gather together and remember Him when we ate the bread and drank of the cup. Following Jesus’ example at the Last Supper and the example of the early Church, this sharing is one way we focus our fellowship on Jesus. 17 Nor did I [even] go up to Jerusalem to those who were apostles (special messengers of Christ) before I was, but I went away and retired into Arabia, and afterward I came back again to Damascus. 18 Then three years later, I did go up to Jerusalem to become [personally] acquainted with Cephas (Peter), and remained with him for fifteen days. 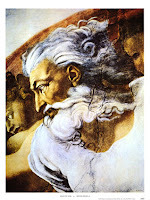 19 But I did not see any of the other apostles (the special messengers of Christ) except James the brother of our Lord. 20 Now [note carefully what I am telling you, for it is the truth], I write this as if I were standing before the bar of God; I do not lie. 21 Then I went into the districts (countries, regions) of Syria and Cilicia. 22 And so far I was still unknown by sight to the churches of Christ in Judea (the country surrounding Jerusalem). 23 They were only hearing it said, He who used to persecute us is now proclaiming the very faith he once reviled and which he set out to ruin and tried with all his might to destroy. Reread Paul’s Holy Spirit breathed testimony and go back in your own life to review how the grace of God the great Creator of all that is has been or ever will be was and has been revealed in your life. Rejoice as you remember how He has repeatedly demonstrated His love toward you even in your weak times or failures. Pray for Him to reveal His glory and majesty in your life. Richard Foster in A Year With God says the flowing. The Story of the loaves and the fishes, one of Jesus’ best-remembered crowd experiences, is both preceded and followed by a time of solitude. Jesus craves solitude and rest not for selfish reasons, but because this is where the spiritual resources for ministry are found. 32 When evening came, after the sun had set, they began bringing to Him all who were ill and those who were cdemon-possessed. 33 And the whole city had gathered at the door. 34 And He healed many who were ill with various diseases, and cast out many demons; and He was not permitting the demons to speak, because they knew who He was. Jesus’ Fame Had spread to the point that “the Whole City” was gathered to watch Him heal. Yet in the midst of this hectic time Jesus rises early to go pray in a deserted place; so intent is He on solitude that even the disciples do not know where He is gone. When they find Him, Jesus is ready, refreshed enough from His time alone with God to continue His work in the neighboring towns. This instance is one of several in which mark mentions that Jesus and the disciples go to a deserted place to rest and pray. Our own spiritual formation will be strengthened if, in our busy, crowed, and noisy lives, we find regular times and places for quiet, for prayer, for listening to God. Time alone with God gives us renewed energy to live fully engaged with the world. Do you neglect your need to be alone to recharge? 42 And when daybreak came, He left [Peter's house] and went into an isolated [desert] place. And the people looked for Him until they came up to Him and tried to prevent Him from leaving them. 43 But He said to them, I must preach the good news (the Gospel) of the kingdom of God to the other cities [and towns] also, for I was sent for this [purpose]. I am so glad that Jesus allowed us to see Him taking time to get away from the crowds and seek God. It not only demonstrates His humanity, but even more His reliance on the Father’s will and plans. Often we are treated poorly if we do not have every minute of our lives all mapped out and scheduled. Thank you Father that you have a plan for us and just as Jesus had to seek you to walk out your plan for Him, we can have confidence, that as we seek you, you will direct our lives as well. Thank You for the light and wisdom for the next step for each of us! Your Word is a light for our path! 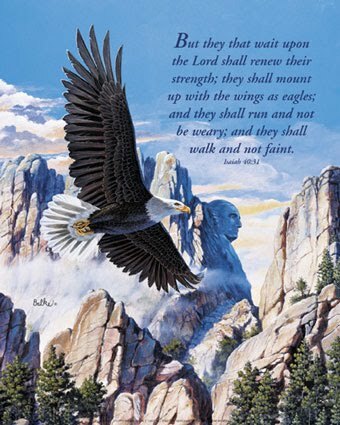 3 Moses was keeping the flock of his father-in-law Jethro, the priest of Midian; he led his flock beyond the wilderness, and came to Horeb, the mountain of God. 2 There the angel of the LORD appeared to him in a flame of fire out of a bush; he looked, and the bush was blazing, yet it was not consumed. 3 Then Moses said, "I must turn aside and look at this great sight, and see why the bush is not burned up." 4 When the LORD saw that he had turned aside to see, God called to him out of the bush, "Moses, Moses!" And he said, "Here I am." 5 Then he said, "Come no closer! Remove the sandals from your feet, for the place on which you are standing is holy ground." 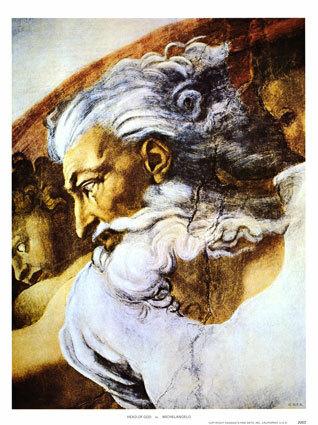 6 He said further, "I am the God of your father, the God of Abraham, the God of Isaac, and the God of Jacob." And Moses hid his face, for he was afraid to look at God. 7 Then the LORD said, "I have observed the misery of my people who are in Egypt; I have heard their cry on account of their taskmasters. Indeed, I know their sufferings, 8 and I have come down to deliver them from the Egyptians, and to bring them up out of that land to a good and broad land, a land flowing with milk and honey, to the country of the Canaanites, the Hittites, the Amorites, the Perizzites, the Hivites, and the Jebusites. 9 The cry of the Israelites has now come to me; I have also seen how the Egyptians oppress them.10 So come, I will send you to Pharaoh to bring my people, the Israelites, out of Egypt." How has God shown up in your life? There are several points of worth noting in this passage, so I have expanded our study beyond the original to help us benefit from them. 1. Jesus was led by the Holy Spirit into the wilderness and then after being tested and using God’s Word to battle the Devil with the sword of the Spirit came out of the wilderness in the power of the Spirit. 2. Once He had fought and won with the Word of God he went up in power to teach in the Synagogue and people honored Him because of God’s favor, honor or glory upon Him. 3. When tempted He let the devil know he was using the Word and authority of God to answer by using a phrase common in Jewish teaching “it is written,” which signified that He was quoting the Word breathed by God to Hid servants. 4. Satan attempted to give Him everything that Satan thought Jesus wanted; only to be rebuked by the Word of God, which demonstrated that what Jesus wanted most was to do the will of the father. 5. He was able to sand against the devil by God’s authority in the Word and by the work of the Holy spirit in His life. 6. Jesus defeated the devils plans in the wilderness, but the Word lets us know that he only went away until there was a more opportune time to defeat or delay God’s purpose through Jesus. This is a warning to us to be on guard so that the world, the flesh and the devil cannot find a more opportune time to defeat or delay God’s purpose in us. We must be on guard and watch over the five gates into our lives, which are our five senses. 7. The wilderness is a place where God can speak to us and minister to us in awesome ways. It is also a place where the attacks of the enemy can be defeated as we fight using the Sword of the Spirit as we are empowered by the Spirit of God. These battles equip us to do great exploits for our God! Dr. Richard J. Foster in ‘A Year With God’, makes the following statements. Most of us probably live too far from mountains to climb one regularly to pray, but we have other ways to be alone with God. Sometime within the next ten days, build on your practice of daily solitude by taking an entire day or at least an afternoon to spend alone with God. If you absolutely cannot get away now, plan the time when you will do it, mark it on your calendar, and make a promise to yourself, to God, and to another person that you will honor it. It is so easy to let the rhythm of our daily lives carry us away. Remind yourself that this time alone with God will be to refresh and nourish you for the rest of your life, that it will not be time wasted when you could be doing other necessary things, but rather time that you need in order to get rest and direction. You can take a solitary hike (up a mountain, just as Jesus did, if that is possible for you and appeals to you), drive out to a forest, or visit another quiet place. Another option is to look into staying at a retreat center for a night or an entire weekend. Take your Bible if you wish, but you may prefer just spending the time praying or talking to God. A good resource for preparation is Emilie Griffin’s Wilderness Time. But do not feel the need to plan too much; just remember that you are deliberately creating an open, empty space in which you can be found by God. 3 Blessed (happy, to be envied) is the man who reads aloud [in the assemblies] the word of this prophecy; and blessed (happy, to be envied) are those who hear [it read] and who keep themselves true to the things which are written in it [heeding them and laying them to heart], for the time [for them to be fulfilled] is near. 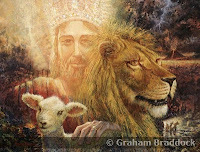 9 I, John, your brother and companion (sharer and participator) with you in the tribulation and kingdom and patient endurance [which are] in Jesus Christ, was on the isle called Patmos, [banished] on account of [my witnessing to] the Word of God and the testimony (the proof, the evidence) for Jesus Christ. 11 Saying, I am the Alpha and the Omega, the First and the Last. Write promptly what you see (your vision) in a book and send it to the seven churches which are in Asia — to Ephesus and to Smyrna and to Pergamum and to Thyatira and to Sardis and to Philadelphia and to Laodicea. 19 Write therefore the things you see, what they are [and signify] and what is to take place hereafter. I have included the entire chapter to help us see the whole picture or context of verses 9-11. Our focus is on John being in a place of prolonged solitude when he has this encounter with God. 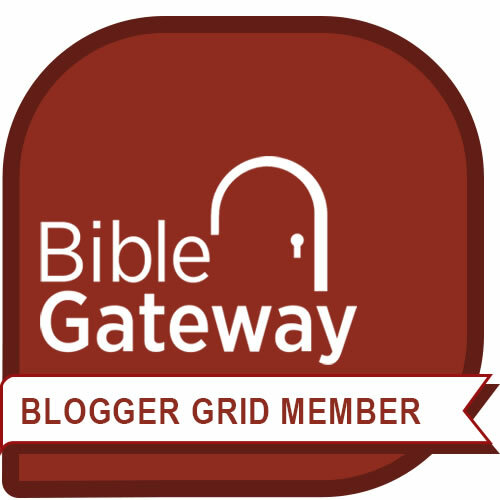 God surprises John and unfold one of the greatest revelations in the Bible. Verse 20 speaks of a hidden mystery which is revealed. Reading through the book of Revelation causes us to realize how many mysteries there are and how important it is to not put our understanding in where God has not made clear what something means. More time alone with God = a greater encounter with God = a stronger and deeper relationship with Him & a greater transformation of our lives into His image. Today and in the next 10 days seek to discipline yourself to have an increasing block of time with God. 29 His disciples said, "Yes, now you are speaking plainly, not in any figure of speech! 30 Now we know that you know all things, and do not need to have anyone question you; by this we believe that you came from God." 31 Jesus answered them, "Do you now believe? 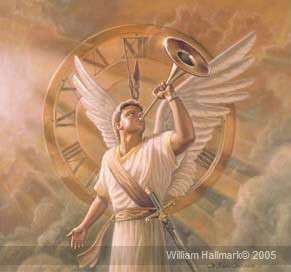 32 The hour is coming, indeed it has come, when you will be scattered, each one to his home, and you will leave me alone. Yet I am not alone because the Father is with me. 33 I have said this to you, so that in me you may have peace. In the world you face persecution. But take courage; I have conquered the world!" Again Jesus tells the disciples that although the people around him will desert him, he will not be alone because God is with him. History is replete with stories of Christians who have been alone for extended periods of time, voluntarily in deserts or involuntarily in prison, but who came through the experience knowing that God was with them. What do Jesus’ words teach you about the difference between loneliness and solitude? In days and weeks ahead, if you have not already done so, read a book about the desert fathers and mothers to inform your understanding of solitude. You might want to start with John Chryssavgis’s, In The Heart of the Desert: The Spirituality of the desert Fathers and Mothers, a compilation of their sayings accompanied by original commentary by Chryssavgis. 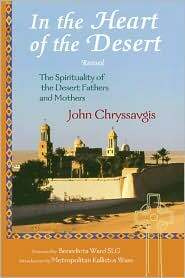 John Chryssavgis’s, In The Heart of the Desert: The Spirituality of the desert Fathers and Mothers http://books.google.com/books? 8 Philip said to Him, Lord, show us the Father [cause us to see the Father — that is all we ask]; then we shall be satisfied. It is important for Jesus to reveal His relationship and oneness with the Father, both for the Jewish people and for us today so that we see that He and Father are one and that He is the fulfillment of the law and the prophets. This is also needed so that the Satan and followers of false religions cannot say with any authority that Jesus is simply a prophet or teacher as the Muslims and others who want to deny Jesus as Messiah do. The Gospels proclaim Jesus as the Son of God and The Son of Man. Although this truth is hard for our limited minds to understand it is true according to the Bible which is the only authoritative Word of God. Solitude can give us the opportunity to encounter God in a deeper way, His living and written Word, as well as the presence of the Holy Spirit. This interaction can make us deeply aware of the Oneness of the God who is three in one. He also makes us aware of His desire to be one with us in every moment of our life. Meditate on these verses. “Believe Me (Jesus) that I am in the Father and the Father in Me (Jesus). and bring down retribution for me on my persecutors. In your forbearance do not take me away; know that on your account I suffer insult. 16 Your words were found, and I ate them, and your words became to me a joy and the delight of my heart; for I am called by your name, O LORD, God of hosts. 17 I did not sit in the company of merrymakers, nor did I rejoice; under the weight of your hand I sat alone, for you had filled me with indignation. 18 Why is my pain unceasing, my wound incurable, refusing to be healed? Truly, you are to me like a deceitful brook, like waters that fail. 19 Therefore thus says the LORD: If you turn back, I will take you back, and you shall stand before me. If you utter what is precious, and not what is worthless, you shall serve as my mouth. It is they, who will turn to you, not you who will turn to them. It is both a joyous and fearful thing to be called into ministry for God. It does not matter if it is to a fivefold office from Ephesians 4:10 or a market place ministry as a cook or a politician. When we say yes to god there is great joy and responsibility to be a vessel of honor for God. Satan, aka, Lucifer is jealous of God and therefore of us who serve God. His schemes to distort, delay or destroy everything God is doing in and through us. Along with that fact is the old saying, “If you are in the Light the darkness is not happy with you.”The world, the flesh and the devil have one thing in common which causes them to not like you if you are a believer; you are in the light of God. So as one old pastor told me, stay in the light no matter how fierce the storm and you will win the battle. 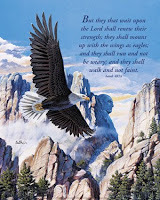 When you think you are alone in serving God turn toward God and He will show you the way! I have seen and experienced the Mount Carmel aftermath phenomenon. This is the experience that comes when God has done a great work though you and then there is a backlash that comes against you. It has always seemed odd to me that you could have an awesome victory in God and then feel defeated, afraid or otherwise like a loser when you were just a member of the team that had a great victory. I have since learned from studying spiritual warfare that this counter attack of Satan is designed to rob you of the victory and to keep you from marching into another victorious battle against Satan and his forces. Remember Satan comes, to kill, steal and destroy. In the counter attack he seeks to either stop you or delay you from the next victory. The solution is to run to a place of solitude with God in worship, prayer and study and meditation on His Word. This will refresh and strengthen you and keep the enemy from taking advantage of you during the post victory recuperation period. Without knowing it, Satan actually helps us to remember it is God who brings the victory and causes us to run to God for renewal and to get God’s plan for the next battle. Remember with God you are never alone. In addition God has strategically placed His people so that when the time is right they will run into the battle with you. They are either in battle or being prepared even when we do not know about them. Trust Him to be your resource and he will provide all that is needed in resources and people when the time is right. Are you seeking God for the renewal and in preparation of the battle? Richard Foster in, “A Year With God,” made the following observations. Once again Elijah goes into the wilderness for refuge. Elijah wasn’t necessarily trying to find God; he fled because he was afraid. But even in Elijah’s running away, God met him in his solitude. Elijah lived a fantastic life, seeing God’s might firsthand as few others have. Yet even Elijah needed times of solitude, where God could meet him alone, giving refreshment and guidance. Have you ever sought solitude for a reason other than trying to meet God and had an experience of God anyway? What is it about being alone that allows God to come to us more easily? God knows what we need, when we need it and how He plan s on getting it to us. The material below is from the book “ A Year With God” by Richard Foster. Two Significant Emphases in Luke are prayer and solitude. All the Gospel writers mention prayer, of course, but Luke takes care to show how Jesus’ prayer practice was often linked to solitude: “(Jesus) would withdraw to deserted places and pray” (5:16) “At daybreak he departed and went into a deserted place” (4:12). Other Gospel writers mention his calling of the twelve apostles, but not that he prayed all night about it, as we see here. And they relate his challenge to the disciples, “Who do the crowds say that I am?” but not that he was praying by himself before he put the question:”Jesus was praying alone, with only disciples near him. (9:18). When have you spent time in solitude and prayer before making a big decision? What was the result? It is so refreshing that Jesus functioned as we must so that we have his example for us today! There are key points in the scripture we should note. 1. He made an opportunity to be alone with God. 2. God’s (Man) came and wrestled with Him. This was an old fashion knock down fight for his life. 3. Jacob did not give up and as a result He was honored with a new name. 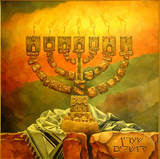 Israel, God Preserves, or God Rules. 4. He also received a reminder (His hip socket was out of place) that he had been in a fight and that even though he did not give up during God’s test, God was the one with the power and authority. Today ask yourself how hard you are willing to battle to get all that God has for you. If you have read the Bible though recently you were exposed to one very powerful truth. Which one you ask for there are so many? The one I speak of is this; that the God who is above all who claim to be god, the one who created all and is and was and will be, the great I am, the father of our Lord Jesus Christ desires to have a an intimate relationship with each of us. We see this in God’s relationship with, Adam, Abraham, Moses, David and so many more. This truth is most clear in God’s relationship with Jesus the Son of man and Son of God. Because of Jesus we have been made adopted children so that along with the people of Israel, God’s chosen people, we might have a relationship with God unhindered by our sin. This is not a small thing, in fact the cloud of witness mentioned in Hebrews 12:1-2, reminds us of just how close Jesus is to the father and therefore how we may come to Him as His children and experience the joy of direct fellowship with God anytime and anywhere. Today, seek out that place where you and God meet in intimate fellowship. If you do not have such a place yet, begin to seek out and establish such a place of meeting for everyday fellowship with God. The material below is from, ”A Year With God,” by Richard Foster. Here am I, Lord, I’ve come to do your will. Here am I, Lord, in your presence I’m still. SOLITUDE, the Secret Place of Power With God! 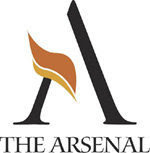 You are invited to be part of a 20 day study at The Passionate Participation With God Project http://www.facebook.com/group.php?gid=237088564302. Learn More about the Power on getting alone with God! The creation of an open, empty space in our lives by purposefully abstaining from interaction with other human beings, so that, freed from competing loyalties, we can be found by God. The Gospels tell us that Jesus’ very public ministry was interspersed with periods of solitude during which He, either completely by Himself or with the disciples, left the crowds behind to pray. These times of solitude appeared to nourish Jesus for those times when He was in the public eye. He began His ministry with forty days in the desert, just after He was baptized. And He continued the practice of going off alone to pray, often just at the times when His ministry seemed to demand the most from Him. Our primary passage today is Hebrews 12:1-4 and 22-24. I encourage you however to read the entire passage as it speaks to the real message in verse 28 and 29. Truly our example is Jesus and it is He who came to proclaim and establish the message of the Kingdom for which He who was born of a virgin, lived among us, died and was resurrected all in fulfillment of Bible prophecy as described in the scriptures given by God through His people Israel. So let us look to Jesus today for there is no other way to the Father, for He alone is the Lord of Host and every knee shall bow to Him alone! 1 SO THEN, brethren, consecrated and set apart for God, who share in the heavenly calling, [thoughtfully and attentively] consider Jesus, the Apostle and High Priest Whom we confessed [as ours when we embraced the Christian faith]. I have no comments today, except to encourage you to read and re-read this passage and meditate on God’s goodness toward us who believe. 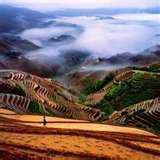 13 From your lofty abode you water the mountains;the earth is satisfied with the fruit of your work. 15 and wine to gladden the human heart, oil to make the face shine,and bread to strengthen the human heart. 16 The trees of the LORD are watered abundantly,the cedars of Lebanon that he planted. 17 In them the birds build their nests; the stork has its home in the fir trees. 18 The high mountains are for the wild goats; the rocks are a refuge for the coneys. 19 You have made the moon to mark the seasons; the sun knows its time for setting. 20 You make darkness, and it is night,when all the animals of the forest come creeping out. 21 The young lions roar for their prey,seeking their food from God. 22 When the sun rises, they withdrawand lie down in their dens. 23 People go out to their workand to their labor until the evening. 24 O LORD , how manifold are your works! In wisdom you have made them all; the earth is full of your creatures. 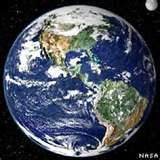 25 Yonder is the sea, great and wide, creeping things innumerable are there,living things both small and great. 26 There go the ships,and Leviathan that you formed to sport in it. 28 when you give to them, they gather it up;when you open your hand, they are filled with good things. 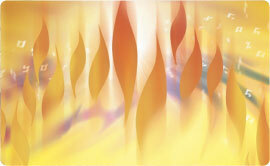 30 When you send forth your spirit, they are created; and you renew the face of the ground. 32 who looks on the earth and it trembles,who touches the mountains and they smoke. Wow, Our God does amazing things! I love getting out in nature and prayer walking with God. It is a refreshing thing, to be in the land unhindered by development and crowds of people. It seems easier to focus and meditate on God. Today I encourage you to find a place where you can be away even in some small way from the crush of society and alone with God in nature. Maybe it is a tree in your favorite part of your yard, a nearby park or an open space but set aside some time there for you and God and meditate on Him not just His creation. You never know how He will work in those times. Be sure to take the Word with you so that you can respond according to it as He ministers to you.